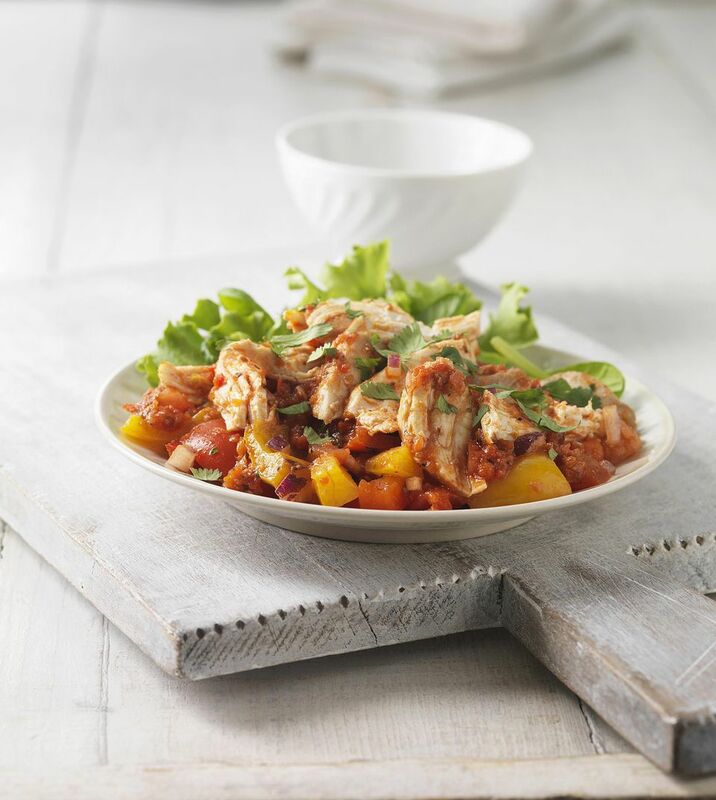 This simple five ingredient recipe for Chicken with Peppers Stir Fry tastes so wonderfully fresh. It's ready in about 20 minutes. One of the tips for stir frying is to make sure you have all of the ingredients ready before you turn on the stovetop. Everything should be right there by the stove, on plates or bowls, and then you just start cooking. This recipe is delicious served over hot cooked rice or cooked noodles. Make sure the rice is cooked and ready before you start stir-frying. Rice will stay hot and good for up to 20 to 30 minutes after it is cooked. Just leave the lid on, but remove the pan from the heat. You can cook the noodles too; put them in a colander and put them over steaming water to keep warm. You can use boneless, skinless chicken thighs in place of the chicken breasts if you'd like. They would take about double the time to cook. Test the chicken with an instant read meat thermometer to make sure it is 160°F before you serve it. You can substitute free bell peppers and onions for the frozen mixture if you'd like. Slice the peppers into strips or cut into cubes and do the same with the onion. The fresh vegetables will take a bit longer to cook than the frozen mixture, since freezing makes vegetables more tender to begin with. This is really a one dish meal that is complete in itself. You don't need much else to serve with it except a green salad or fruit salad if you'd like. Cut chicken into 1" pieces and set aside. Heat the oil in a wok or heavy skillet over medium high heat. Add the frozen pepper and onion mixture and stir-fry until crisp tender. Remove the vegetables from the wok or skillet. Add the chicken and stir-fry until the chicken is thoroughly cooked to 160°F. Add the cooked vegetables, orange juice, lime juice, honey, salt and pepper to the chicken in the skillet. Stir fry for 2-4 minutes until mixture starts to bubble. Combine the cornstarch and water in small bowl, then add to the skillet. Cook and stir over medium high heat until sauce boils and thickens. Serve immediately over hot cooked rice or noodles and sprinkle with basil.